In April 2007, after symptoms of dark urine and a rash, Lucien Zito visited a surgeon who determined his symptoms were caused by a mass on his pancreas. This information was devastating to hear but even more devastating was the doctor’s conclusion that his cancer was inoperable. Thoughts of confusion and hopelessness overtook the Zito family. 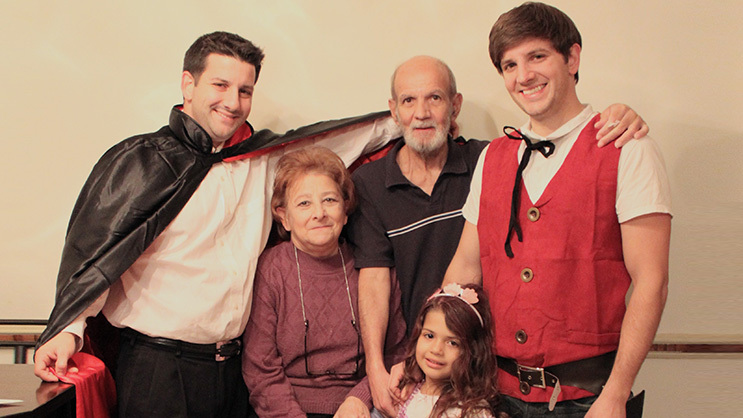 After taking time to digest the news, Mr. Zito and his family decided that they were not willing to give up that easy! They searched the Internet, spoke to all their friends and eventually found The Pancreas Center. They quickly set up an appointment and hoped for the best. They had a consultation with Dr. Chabot and immediately knew that he was the right doctor for them. He explained everything the family wanted to know with clarity and detail. Not only did Dr. Chabot make them feel comfortable, he also filled them with hope when he said, “I can get this out”. He did exactly that during a nine-hour operation. Mr. Zito spent a few days recovering in the hospital and during this time Dr. Chabot visited with amazing news. He said, “All of your tests came back clear, I see no sign of the cancer”. Mr. Zito was overwhelmed with happiness; he couldn’t believe that he had gone from inoperable to cured. Earlier this year Mr. Zito gave our office a call to share some exciting news. You could hear the happiness in his voice as he informed us that he was celebrating 10 years since his life-saving surgery. He is grateful to have found The Pancreas Center and Dr. Chabot. In the last 10 years he has been able to watch his family grow as new grandchildren have been born. He has been there for the birthday parties, Christmas holiday, Halloween and everything in-between. Considering how much Mr. Zito values family and sees them as an essential element to his cancer recovery, it is safe to say that these last 10 years have been an invaluable gift.